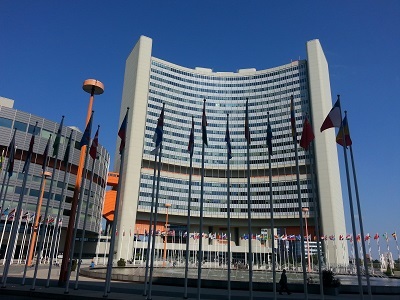 The UN Commission on Crime Prevention and Criminal Justice will convene in Vienna on 23-27 May 2016. Held annually it is the principal policy-making body of the UN in the field of crime prevention and criminal justice and is therefore of key relevance to PRI’s mission. The Commission is the preparatory body for and implements many of the recommendations of the Crime Congress – a meeting held every 5 years, most recently in April 2015 in Doha, Qatar. At this year’s Commission, PRI will be hosting various side-events below, as well as co-sponsoring events on alternatives to custody by the Quakers and HIV in prisons by UNODC. This side-event co-organised with the IDPC, Thailand and the Thailand Institute of Justice will focus on the treatment of women offenders and women prisoners in different regions and reflect on the importance of the UN Bangkok Rules. The expert panel will share good practices on the implementation of the UN Bangkok Rules, through gender-sensitive approaches. A new report by Linklaters LLP and PRI, ‘Women who kill in response to domestic violence: How do criminal justice systems respond?’ will be launched at the event. This side-event organised with the IDPC will have a ‘chat-show’ format with speakers taking questions and discussing the results of the UNGASS on the world drug problem, its implications for the Crime Commission and highlighting areas of promising practice. This side-event hosted by PRI and organised with the Government Offices of Sweden’s Ministry of Justice seeks to draw attention to the challenges faced by prison staff. PRI’s annual publication ‘Global Prisons Trends 2016’ will be launched at the event, which describes key global trends in the use and practice of imprisonment and dedicates its Special Focus section to prison staff. Together with Canada, Norway and Uruguay, PRI will be hosting a lunchtime briefing on Tuesday 24 May at 1-3pm on the Revised Standard Minimum Rules for the Treatment of Prisoners – adopted at the Crime Commission in 2015 and by the UN General Assembly in December. Delegates will hear about early efforts to implement the Rules in different regions, as well as projects and initiatives planned to assist implementation. Lunch will be provided. PRI is co-sponsoring this event organised by UNODC with the Netherlands, Norway, Sweden and the African HIV in Prisons Partnership Network. At the event, PRI will speak about the relevant provisions relating to HIV in prisons in the Nelson Mandela Rules and the Bangkok Rules and share some country experiences. Organised with the Friends World Committee for Consultation (Quakers), this side-event will explore the current situation of life imprisonment worldwide, including the debate on life vs. life without parole, conditions of imprisonment for lifers and ways to make life in prison more meaningful.